Your home can be featured with these recently listed and featured homes today! 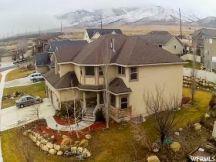 Check here for new listings of homes for sale in Saratoga Springs, Utah. Just call 801-372-2360. Unlike most agents, I answer my phone at all waking hours! Visit us online at SaratogaSpringsHomes.com.